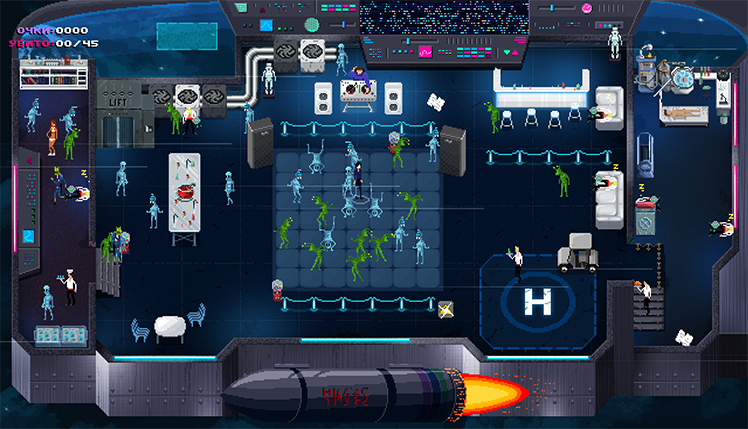 Developed by TinyBuild, Party Hard is a stealth strategy video game, available for the Windows, Mac OS X, Linux, Android, iOS, Xbox One, and PlayStation 4 operating systems. Play as a serial killer in this pixelated video game. After being tormented by late-night party-goers, the main character decides that enough is enough. Take up a murderous rampage by showing those party people that there is such a thing as too much fun! Equipped with a knife and stealthy skill, travel around the country as the guy who just wanted to get some sleep. 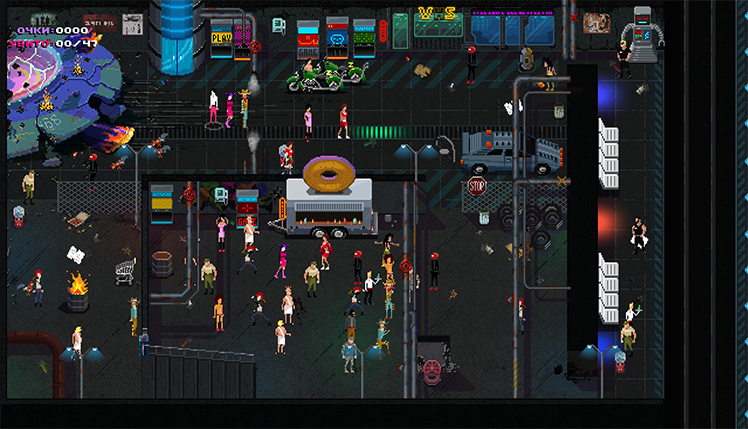 Lay waste to tons of different kinds of parties. 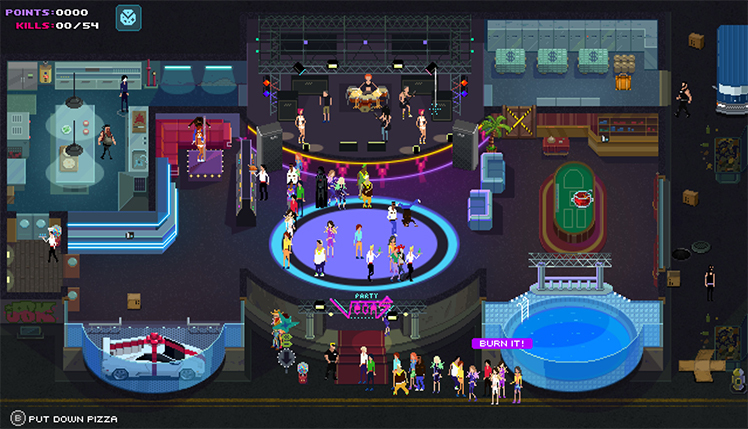 From concerts to beach parties, no place is safe from the Party Hard killer. The game has countless ways for murderous fits again and again. Every party has a completely new set of puzzles. Murder everyone without getting the cops called, or let someone find the bodies and have the cops clean up the mess. 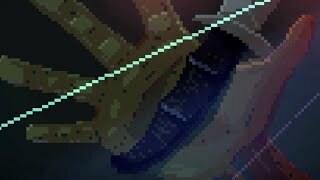 See the Party Hard Killer's story through to the end without getting caught. 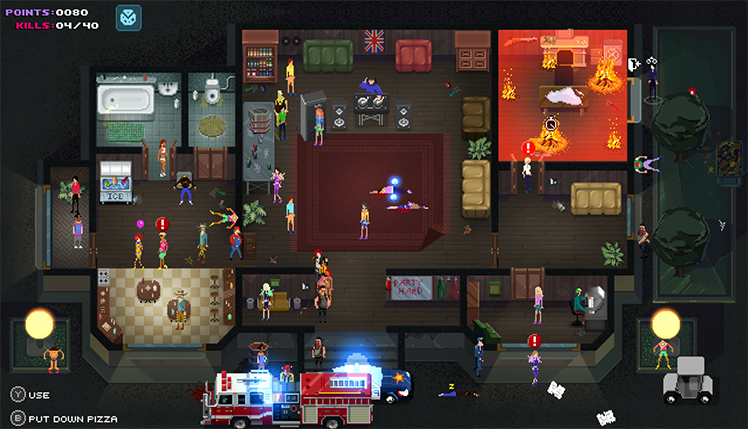 This video game has a story mode that allows users the experience of crashing a variety of parties all over The United States. Meet characters who later become playable by completing various challenges and unlocking them. Furthermore, there are 5 playable characters in total. This includes a sneaky ninja that makes stealth a breeze. Local co-op is also available for those who enjoy teaming up on killing sprees. Pick and choose who will be the Party Hard Killer and then use any means possible to end the party. With traps, knives, and randomized special events (like a deadly grizzly bear invading the party and killing everyone) there's no end to the way players can put a stop to the noise. Additionally, the scenery is always changing with 19 different levels. Since they have randomized components, no two playthroughs are ever exactly the same! In addition, one of the more unique features of this game is its integration with the Twitch.tv platform. Users stream the game live on the service, which in turn allows viewers to interact with the streamer's Party Hard game. Let viewers invite more guests and up the difficulty of ending the party. Maybe they'll call in the special forces and catch the killer. The craziness doesn't end there, though. With Sharknadoes and rampaging bears, viewers can wreak havoc and catch (or kill) the Party Hard Killer. 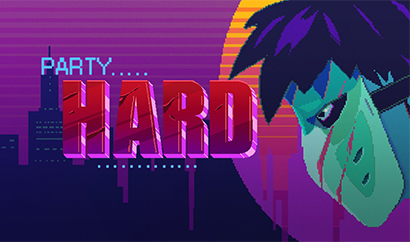 In short, Party Hard is a black comedy game about a guy who just wanted to get some sleep. When some partygoers by his house make him snap, the Party Hard Killer is born. Follow the story, thus discovering the truth about who is really responsible. Play alone, with a friend, or with Twith.tv viewers. Find countless ways of murdering every party goer possible. Get creative and unlock other playable characters. 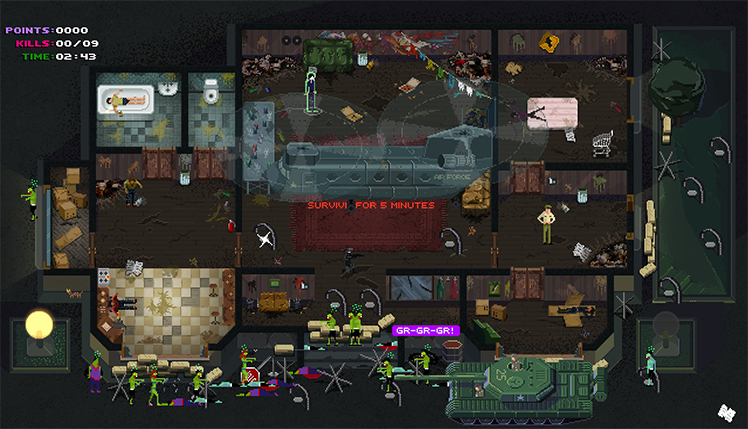 Most importantly, leave no one alive in this silly stealth action video game! 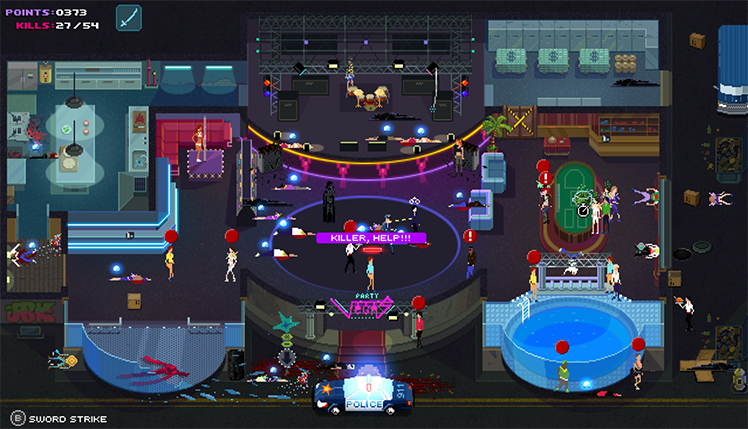 In Party Hard, you become a masked killer on a mission to torment and murder late-night party-goers. © 2018, Pinokl Games. Pinokl Games logo, Party Hard, the Party Hard logo, are trademarks or registered trademarks of Pinokl Games. in the United States of America and elsewhere. All rights reserved.